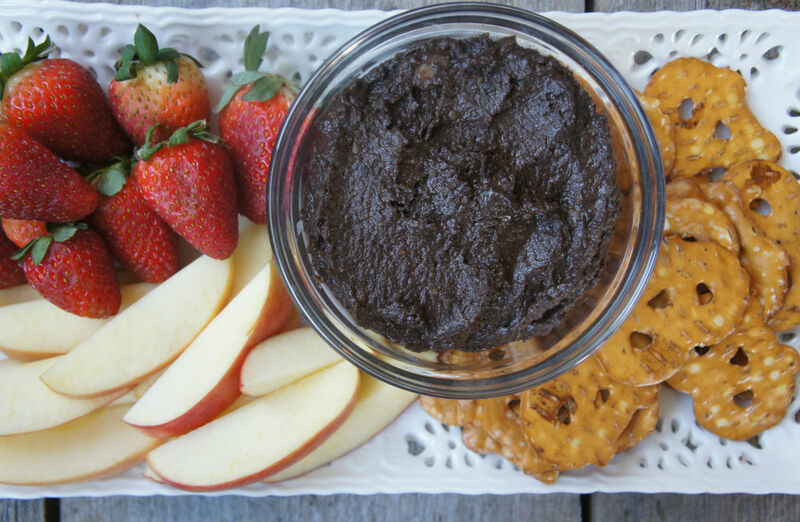 Have you ever tried dessert hummus? That’s right – a sweet hummus. No, it’s not exactly traditional, but it is as simple as making classic hummus. Instead of savory ingredients like garlic, tahini and cumin, you add dates, maple syrup and even cocoa powder. It’s perfect for those times you are craving something sweet but also want to eat healthy. No refined sugar, no guilt – just delicious! Place all ingredients in food processor except water. Pulse until smooth. Add 1 Tbsp water at a time until desired consistency. Serve with fruit slices and pretzels if desired.